One day this Summer I had a rather strange opportunity to see inside the house of one of the board members for my work. She went to art school and even worked at one of our art galleries. The walls of her house are covered in various types of art, and she told me the stories about a few of that I had interest in and where they came from. One of the paintings she told me about was part of a project that she had done in art school. 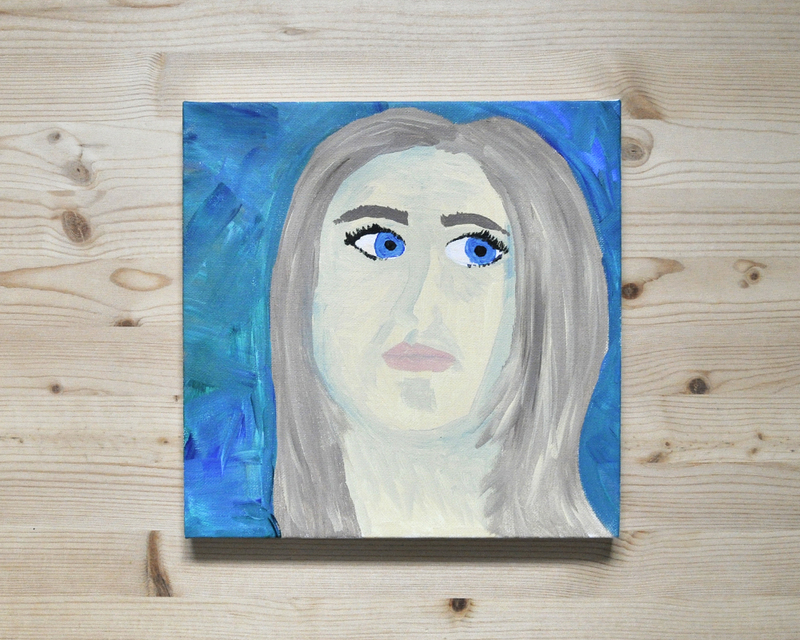 The instructor had them do a self-portrait and each week they had to paint over their portrait from the week before with a new self-portrait. This was to teach the students not to become attached to their artwork. She and a friend of hers exchanged portraits at the end of the term, and that was one of the paintings that I was looking at. I thought it was a fascinating idea, and decided to do a painting of myself every month for my 35th year, starting in October. While I'm sure a lot of the portraits that were being done in that class were in the styles of the painters that they were learning about, I decided to tackle the concept myself (without all of the education). I am an amateur painter, at best, but I'm curious to see how the portraits differ from month to month, and what might influence my work. The image you see here is my October painting. I just completed my November painting today. You can find it here on Instagram.